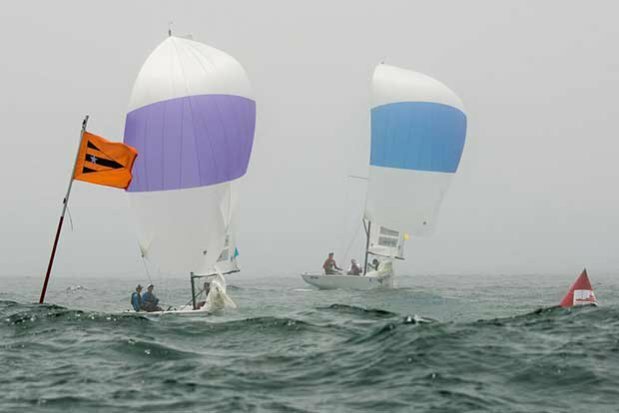 51st annual Governor’s Cup International Youth Match Racing Regatta will be held July 17-22. Friday, May 12 is the deadline for Requests for Invitation to compete. The world’s best youth match racers are coming to Newport Beach, California this summer as Balboa Yacht Club hosts the 51st Annual Governor’s Cup International Youth Match Racing Championship from July 17-22 followed by the World Youth Match Racing Championship July 30 – August 5. The “GovCup” is the oldest youth match racing regatta in the world. After the success of last year’s 50th Anniversary event, BYC has already received a record number of RFIs (“request for invitation”) for this year’s event. A number of the teams already qualified for the World Championship have also applied. The deadline for consideration by the Governor’s Cup Selection Committee is this Friday, May 12th. 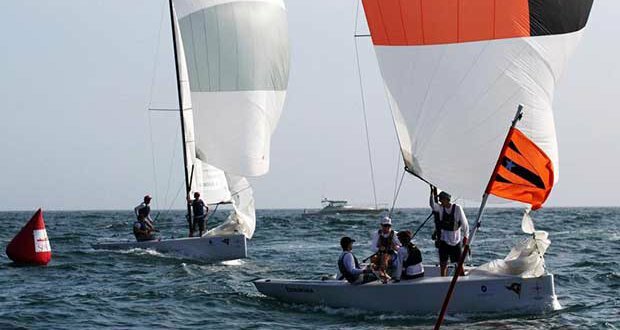 To be eligible for GovCup, sailors must be U23 (age 22 or younger on July 22, 2017). To file an RFI, go to the “Race Documents” link at www.govcupracing.com. Last year, the GovCup featured a 50th Anniversary alumni regatta with skippers including World’s number-one-ranked match racer, Taylor Canfield (USV), number six Chris Steele (NZL), and Round-the-World Race winner Mark Christensen (NZL) among another nine world class sailors who raced the GovCup early in their careers. World Sailing, the sport’s international federation based in London, selected Balboa Yacht Club to host the fourth-running of the Worlds on the strength of the Club’s 50 year history of running the prestigious Governor’s Cup. The 2016 GovCup could have been mistaken for the World Match Racing Tour – World Sailing’s current #13-ranked Nevin Snow (USA) beat #5 Sam Gilmour (AUS) in the final, with former winner and #6 ranked Harry Price (AUS) finishing fourth. In recognition of the competition, World Sailing retroactively upgraded the event’s status to Grade 2. Both the Governor’s Cup and Worlds will be sailed in BYC’s “GovCup 22” sloops first used in 2016. Designed by Alan Andrews, an internationally known yacht designer who also is a BYC former Commodore, the 12-boat fleet was funded largely by generous contributions from BYC members and sponsors. Since last year’s regatta, the GovCup 22s have received wide acclaim as the best fleet of match-racing boats in the world. They feature a “flat top” mainsail, masthead spinnaker, modern “T” keel and an “all up” weight of only 1470 lbs (666 kg). Light and lively, and challenging to sail even in Newport Beach’s relatively light summer breezes. After finishing third at the 50th Anniversary Alumni Regatta, two-time Congressional Cup winner and winning America’s Cup tactician Dennis Durgan (Newport Beach, USA) said the boats were “flawless” – high praise from one of the best match racing sailors of all time. Part of the design brief for the boats was that they be competitive, and comfortable, for crews of three or four. This allows for various combinations of youth – of larger and smaller stature, gender and age – to fairly compete. For more information contact Andy Rose at +1 949-723-5806 or email at Roselaw7@aol.com.